I took this picture in Tasmania when I was there for a visit a month or so ago. Applied a Photoshop action set to give it a vintage film effect. 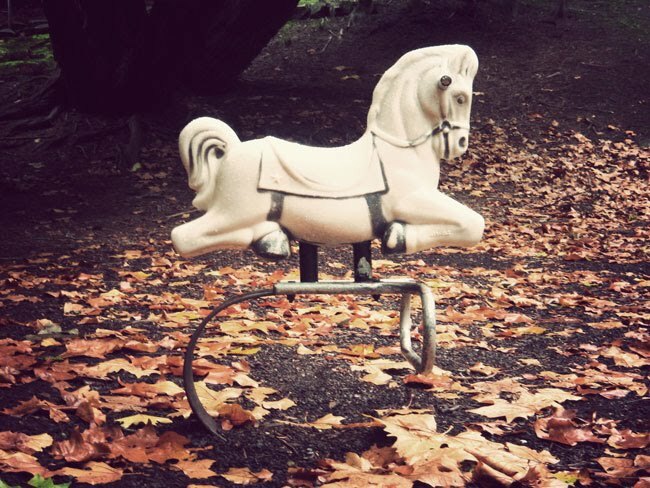 I have a thing for carousel and playground horses.